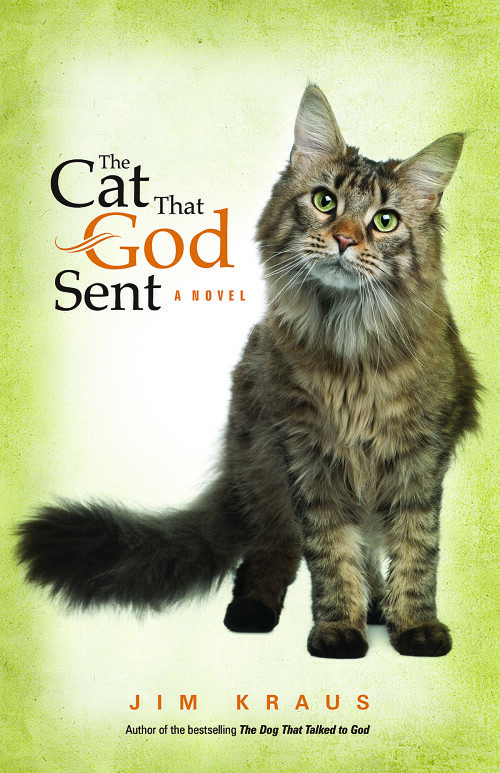 Meet Petey, your not-so-average cat—on a mission from God Disillusioned young pastor, Jake Wilkerson, has just arrived at his new assignment in the small rural church of Coudersport, Pennsylvania. Also new on the scene is Petey, a cat of unknown origins and breed—but of great perception. 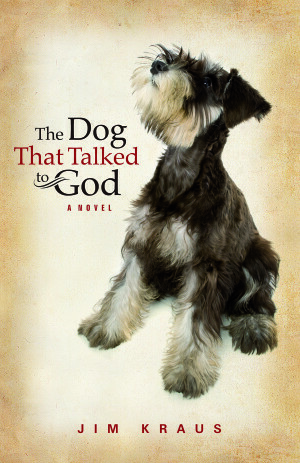 As Jake sets about doing the business of ministry, Petey’s continued interference brings chaos to the community of curiously off and eccentric people—residents like the faith-avoiding veterinarian Sally Grainger and Tassy, a young runaway with a secret. An expert at hiding his fears, Jake wonders if all this—and the cat to boot—is more than he can handle. What is Petey’s real “mission”? Perhaps something larger than Jake—or even Petey—can possibly know. When the new Pastor, Jake Wilkerson, arrives at his new rural church in Caudersport, PA, he finds a cat on his doorstop. The cat adopts Jake, and is soon named Petey. Is it a coincidence that the cat is there? I think not! Jake comes with a secret...he has lost his faith. A Minister without faith? When Petey arrives he seems to make it his mission to help Jake. He sure does!! You delight in some of the things that cat says, no he can't talk, but we can read it. At times he is hilarious! We meet all the different people who attend the church, some appear gruff, and end up with hearts of angels. Of course, all want to meet and greet Petey. Now you think someone would be against having a cat in church...nope! One thing for sure is Jake's taste in Woman sure could be better. Can he redeem himself? Or is history going to repeat itself? One thing I didn't care for was that the ending appeared rushed, and there wasn't much epilogue. I felt the story needed more added at the end. This is the second book in this series that I have read, and equally amazing, I loved it. We are in India, the age of Gandhi, and just after WW1. The descriptions of the beauty of the Country, made me feel like I was there. Watching the beautiful birds, and smelling the glorious flowers. We do see the differences in people living in the Caste system. Fine if you are at the top, but who wants to be the untouchable? To give aid and comfort to one so low, is punishable by law. I asked an Indian Dr once about the Caste System...he loved it, said it was necessary...guess where he was in it? Of course, Laine Harkness and her friend Eshana, don't let the law trouble them when they felt called to help an unfortunate girl. How the things that were happening to her could be allowed...ugh! They enlist Dr Jai, in their need for medical help for the girl. Sparks fly between Eshana and Dr Jai, but she is a Christian and he a Sikh. Then there is Lani who loved Adam with her whole heart, but he was killed in the war. Or was he?? Here is a man do indebeted to another, for saving his life, that he has given up his own for the others sake. You will become so enraptured with this story, even when it is finished you crave more. I for one never wanted it to end. It is wonderful! When Meg Cole’s father dies unexpectedly, she’s forced to return home to Texas and to Whispering Creek Ranch to take up the reins of his empire. The last thing she has the patience or the sanity to deal with? Her father’s Thoroughbred racehorse farm. She gives its manager, Bo Porter, six months to close the place down. Bo knows he ought to resent the woman who’s determined to take from him the only job he ever wanted. But instead of anger, Meg evokes within him a profound desire to protect. The more time he spends with her, the more he longs to overcome every obstacle that separates them and earn her love. Just when Meg realizes she can no longer deny the depth of her feelings for Bo, their fragile bond is broken by a force from Meg’s past. Can their relationship–and their belief that God can work through every circumstance–survive? Becky Wade is a graduate of Baylor University. As a newlywed, she lived for three years in a home overlooking the turquoise waters of the Caribbean, as well as in Australia, before returning to the States. A mom of three young children, Becky and her family now live in Dallas, Texas. Visit her website at www.beckywade.com. A sweet romance. Once you pick this one up you wish you were in Meg Cole's shoes, or not. She can buy anything she wants, but love! Guess that other side of the fence does always look greener. Bo Porter's first meeting with her, is a life changer in more ways than one. She wants to close down her deceased father's race horse ranch and stables. Bo begs and wins six months to make the ranch pay for itself...she says yes, but no guarantees. I loved the compassion both of the main characters seemed to possess for others, especially the less fortunate. Also enjoyed the fact that the both have a great love for The Lord! Who does turn up in interesting places! Can you imagine walking in the world of the upper elite? How would you fit in? Bo seems to do a fairly good job. We see him judged, a bit unfairly. There is also some evil lurking about, and maybe the end of some of these individuals. Enjoy going to country music dances and elegant formal dinners. This is one of those books you can't wait to read the next book in the series. Don't miss the first one! A really sweet read to get lost in. Once the cover is open the words fly off the page, and make it hard to put it down. When the book opens Susanna Truitt's boyfriend for the past twelve years, tells her that he has found the right ring, and the right girl, but it is not her. Susanna should have been devastated, but she knew it was the right thing. He had become comfortable, like an old shoe. We spend time with her as she struggles with Garden Design business. She is good at what she does, and has a tell it like it is attitude. The last thing she needs is a new boyfriend, but a chance meeting with a cute guy Nate Kenneth, quickly changes that. They seem to have a lot in common, and that includes a great love of the Lord. When we find out that Nate is really in line to become King of Brighton, and blurts out to her that he can never marry her. UGH! Poor Suzz. Then his Father dies, and he must take the throne, and hopefully a wife. There is a conniving, lovely Lady Genevieve, who has the right lineage to become his wife and keep the kingdom. You have to like her, but Nate's Mother arranges for Suzz and her sister to come to the coronation. She is hoping when Nate sees her, he will realize that she is not for him. So what will Nate do when he sees her? Will he give up the throne to marry her? 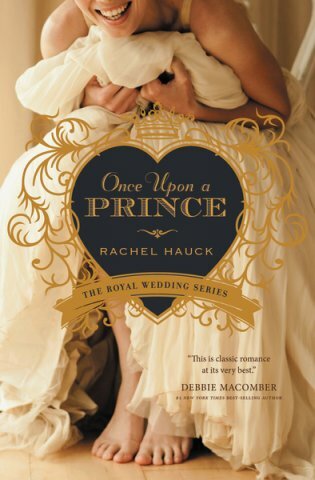 Will he do his kingly duty and help his country by marrying Ginny? Enjoy this wonderfully written fairy tale, I loved it!! When Mitchell Brannon’s beloved wife of twenty years kisses him goodbye one autumn morning, he has little idea that his life is about to change forever. Mitch returns from work early that evening, surprised Jill’s car isn’t in the garage. Her conference in Kansas City is only a few hours’ drive from their little town of Sylvia, Missouri. But her voice on the answering machine makes him smile. “Hey, babe, I’m just now checking out of the hotel, but I’ll stop and pick up something for dinner. Love you.” Mitch sets the table with their best china and lights some candles, looking forward to their first weekend as empty nesters. But at eight o’clock, the candles have burned to stubs and Jill still hasn’t shown up. Mitch tries her cell phone only to get her voice mail over and over again. Their two college kids haven’t heard from their mom either. At midnight, Mitch’s irritation turns to dread. And later, when the police and Missouri Highway Patrol have turned up nothing, the Kansas City hotel calls to say they’ve found property belonging to Jill in a hotel maid’s possession. Mitch enlists the help of their next-door neighbor, Jill’s best friend, Shelley, and together they search for clues to Jill’s disappearance. As days turn into weeks and weeks into months, Mitch and Shelley’s friendship grows ever closer—and decidedly complicated with Jill as the tie that binds them together. Just when Shelley decides to finally reveal her feelings for Mitch, a clue to Jill’s whereabouts is uncovered. But every lead seems to be a dead end, and Mitch wonders how he can honor the vows he made to a woman who has seemingly disappeared off the face of the earth. Purchase a copy here. 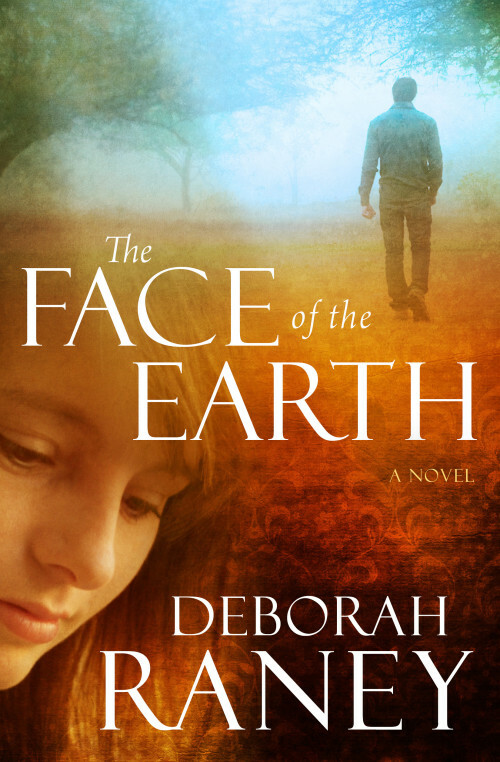 Deborah Raney is the award-winning author of several novels, including "A Nest of Sparrows" and the RITA award winning "Beneath a Southern Sky" and its sequel, "After the Rains." Deborah's first novel, "A Vow to Cherish," was the inspiration for World Wide Pictures' highly acclaimed film of the same title, which in December 2004 aired on prime time network TV for the second time. Deb's novella, "Playing by Heart," was a National Readers Choice Award winner and a 2004 Christy Award finalist. 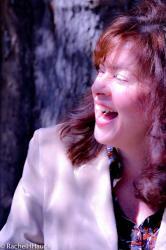 Her novel for Howard/Simon & Schuster, "Yesterday’s Embers," appeared on the ECPA Christian fiction bestseller list. 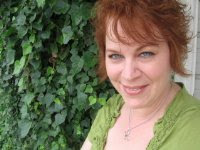 Known for her sensitive portrayal of family struggles and relationships, Deb has also written nonfiction books and articles and often speaks at women's retreats and writers' conferences around the country. She and her husband, illustrator/author Ken Raney, have four children and make their home in Kansas. A story that makes you think...all that we take for granted. No matter who in your family doesn't come home, there is a sense of panic. Going around for about a year with no answers has got to be heart wrenching. I could not imagine my husband's voice on our answering machine, saying he would be home shortly, and then vanishing with no trace. What length would you go to to find your loved one? We find Mitchell Brannon's wife Jill showing up in unexpected ways...but where is she? Will Mitch make it through this trauma. What will happen to his college age children?? How do you deal with school when part of your family is missing. Did Jill take off of her own free will? Where is she? I don't think I could, and know Mitch didn't without God's help! As time goes on by, you wonder how her reappearing in their lives is going to effect them, or if she never comes home. The not knowing has got to be the horror of this book. It becomes a real page turner trying to see where the answers are going to come from. I highly recommend this mystery....it is a great read. 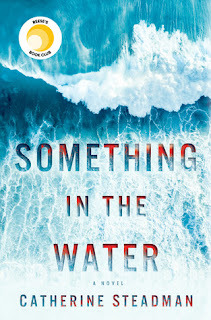 It is February of 2000, and Arthur and Valencia Todd and their twelve-year- old daughter, Lindsy, are living very happily—until Valencia receives a life- changing phone call. Life deals her a crisis that requires a miracle of biblical proportion. Six months later, Valencia’s life is still in shambles. As she walks on a path lined with grief, frustration, illness, and loneliness, Valencia is too frightened to seek help from doctors, on whom she quietly blames her mother’s premature death. As she prays for answers, nothing seems to heal her persistent medical condition, prompting Valencia to plummet down a dark tunnel of despair. Desperate for answers, Valencia draws inspiration from the worn pages of her mother’s Bible, fueled by an unyielding determination to find healing. But three years later, as she is led to the doors of a holistic center where she believes she will finally be helped, Valencia helplessly watches as her life disintegrates once again—completely unaware that the Holy Spirit is waiting to comfort her. ’Til the Last Drop is the inspirational story of one woman’s journey to the truth as she learns to listen to her heart, never give up, above all, trust in God. 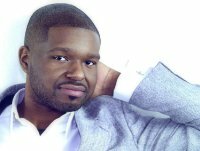 Marquis Boone is a pastor, motivational speaker, author, entrepreneur, mentor and spiritual advisor to a host of celebrities. Marquis is the Lead Pastor of Fresh Start Church which exists to revive, refresh, release and restore people back to God. He has been deemed one of America's most influential and talented pastors in his generation. His message of resurrection, healing and restoration is unparalleled and transcending cultural barriers within the church. Boone holds a Master of Arts in Christian Leadership and Masters of Divinity from Luther Rice University. He studied at World Harvest Bible College and completed a Bachelor of Science in Business Administration with a minor in Management from American InterContinental University. I loved this story. It is one very fast read, and once you start you won't stop until it is finished. It made me feel loved, and blessed. God is so good. We find the pressure of an illness putting such a strain on a marriage. We also find perseverance and the laying of God's hands. You see the obstacles Satan puts our ways, but God's Angles are ever vigilant. Loved the people who were put in Valencia's and Lindsy's path. Never give up and with God all things are possible. Such a wonderful inspiration. Throughout the book I keep thinking of Luke 8:40-49. Don't miss this one, it is so good! I received this book through Orangeberry Promotions, and was not required to give a positive review. This story is set in Eureka CA in 1861, just prior to the start of the Civil War. Grant Diamond is on the run from the past and has assumed a dead man's identity. Of all the people to take their name, he has become a Reverend...Rev Crew from Harvard's Divinity School. There are some very serious issues tackled here, issues of hate. Hate so strong people are willing to kill. Of Course, where do we find this heathen? In Church! Maybe God will reach their hearts? One of these evil men wants to marry Heiress Lily Rose! Lily is quite the character, think I would have been in complete chuckles watching her antics in her hoop skirts. Can't you just picture her at the General Store...can just see those displays tumbling down. Later she is rolling down a hill, she does get injured, but what a spectacle! Can't you just picture a gambler, playing a Preacher, and then asked to give the sermon? Something has to give! As I said there are a lot of chuckles, and then some ultra serious moments. The chapters are short, which I like, and it becomes a very fast read. Smell the Ocean and stay awhile. I received this book through First Wild Card Book Blog, and was not required to give a positive review. With over four million copies of her books sold worldwide, Angela Hunt is the bestselling author of more than one hundred books, including "The Nativity Story." Hunt is one of the most sought-after collaborators in the publishing industry. Her nonfiction book "Don’t Bet Against Me," written with Deanna Favre, spent several weeks on the New York Times bestseller list. Angela’s novel "The Note" (with sales of over 141,000) was filmed as the Hallmark Channel’s Christmas movie for 2007 and proved to be the highest rated television movie in the channel’s history. Angela's novels have won or been nominated for several prestigious industry awards, including the RITA, the Christy Award, the ECPA Christian Book Award, and the Holt Medallion. She often travels to teach writing workshops at schools and writers’ conferences, and she served as the keynote speaker at the 2008 American Christian Fiction Writers’ national conference. She and her husband make their home in Florida with mastiffs. In 2001, one of her dogs was featured on Live with Regis and Kelly as the second-largest dog in America. Once I started reading this book, I could not put it down. Even though a lot is given away, by reading the back of the book, I kept hoping it wasn't true. It was almost like waiting for the other shoe to drop. While I was questioning my Christian beliefs, with regard to the unused embryos. This is thorough talked about in the story. Not that I agree with it, but it does give thought. What would you do? When my daughter experienced fertility, I thought about doing what Mandy did, but is it morally right? Each person has to answers these questions on their own. Also, once she felt that she and her husbands were the parents of the little one. What great harm is she going to do pulling him away from the only parents he has known. On the other hand, this little boy is a surviving part of her husband. Oh my, somehow someones heart will be broken. There are some very tender loving moments here, the extended, wonderful Cuban family her husband comes from. We spend time with their gifted and talented daughter Marilee. We grieve for Gideon, and feel his loss. Through out the book a poigant theme is spoken "Meet at the river." "Yeah, I'll be waiting under the tree." By day, Linda J. 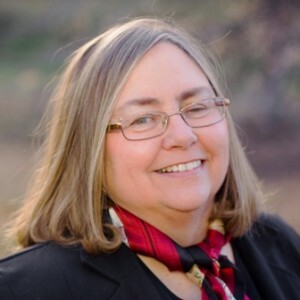 White writes editorials for The Free Lance-Star, a newspaper in Fredericksburg, VA. By night, she plays the “what-if?” game, entangling engaging characters in “white-knuckle” plots. Her first FBI thriller, “Bloody Point,” was published in 2005. 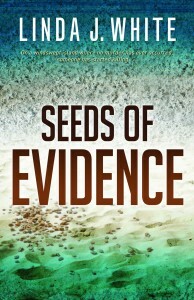 “Seeds of Evidence” (Abingdon Press) will be released in April 2013. Linda’s husband, Larry, was a video producer/director at the FBI Academy for over 27 years. Married since 1970, they have three grown children and now live with two dogs and two cats on two beautiful, wooded acres in Virginia. This story takes place in the beautiful Virginia Chincoteague and Assateague Islands. The breathtaking beaches, and beautiful waters. I've read about the wild ponies from here, and we do see some in this book. FBI Agent Kit McGovern is here for some R&R, her Grandmother had owned a home on the Island. She is dealing with Job and relationship stress. We also meet David O'Connor a Washington D.C. Police Detective. He is here to decide whether he will return to work after being shot, and being involved in the death of a teen. The two main characters have a horrible chance meeting when they find the body of a young Latin boy, about 7 or 8, washed ashore on the beach. The boy has some acorns in his pockets and some tomato seeds rolled in his sleeves, along with a large amount of seeds in his stomach. Someone so young should not have died. Agent Kit is in turmoil after she has been dumped by her husband Eric, and Det. O'Connor is having a hard time dealing with killing a young man who had his entire life ahead of him. Together will these enforcement agents begin to heal? Will they be able to help each other. What are they in for trying to find answers to the crime they led them to each other. Be ready for a page turning, fast past, never a dull moment read. The story is fictional, but it reads so true, and really could be really happening. Amy Lillard is an award-winning writer who loves reading romance novels from contemporary to Amish. These two genres met in her first book, 2012's Saving Gideon. Born and bred in Mississippi, she now lives with her husband and son in Oklahoma. 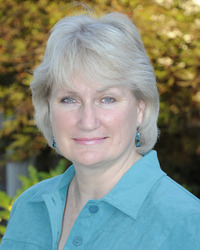 To find out more about Amy and her books, please visit her online at http://amywritesromance.com. Katie Rose Fisher loved Samuel Beachy with an intensity that shook their Amish district. No one doubted they would one day marry, until Samuel turned his back on the church and joined the world of the English. Alone now in Clover Ridge, Katie Rose dedicates her life to God and the school children she teaches each day. 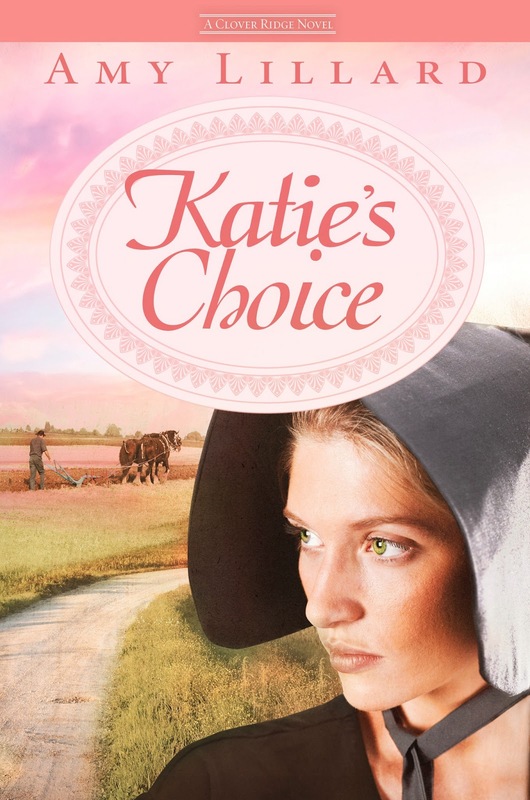 Although she secretly longs for more, Katie knows God’s hand is at work, and she is happy. News correspondent Zane Carson never even knew Oklahoma had an Amish community until he got the chance to live among them and learn about their day-to-day activities. Their simple way of life is intriguing, but not half as much as the young teacher. Katie Rose is flattered over the attention she receives from Zane, but she has resolved to never marry. Even if she were to entertain the idea, it surely couldn’t be with an outsider like Zane. 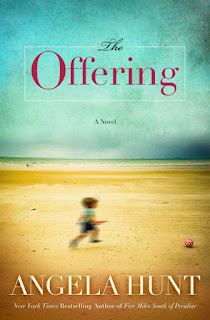 Never one prone to the restraints of organized religion, Zane finds a comfort in the rituals and blessings in the day to day righteous living of this small Amish community. He finds himself, God, and love with Katie Rose. But as Zane draws closer to Katie Rose, Samuel comes back to repent his ways and return to his place at her side. Can Zane convince Katie Rose that he is committed to adapting to her way of life, or will Samuel win her affections back for himself once again? Zane Carson sat up in a hurry. He’d been lounging on the couch watching reruns of Happy Days when he should have been at his physical therapy session. But he just wasn’t up to another round of incredibly boring exercises with the commando instructor. No sir, he just couldn’t do it again today. He’d been a little contemplative lately. Okay, so he had been downright depressed. But who wouldn’t be? One bullet and his entire life had been put on hold. His entire life had changed. He’d been sent home, grounded, and for once he’d started to think about the future. His future. His and Monica’s. “Of course I am,” he lied. But what better way to prove to everyone that he was ready to hit the red zone than jumping on the horse, so to speak? “Jolene, I am a war correspondent. That means I cover wars.” He purposefully made his voice sound like he was talking to a four-year-old. When would they accept that he was ready to go back out into the field? Maybe ready was a bad word, but he needed to get back out there, if only to prove that he could. He hadn’t called today and look where that got him. She was right. But . . . “Did you say Oklahoma?” Did they even have an Amish community? Why not Pennsylvania? Everybody knew about Lancaster County. Zane didn’t know if he would call their manner of religion “alternate,” but what did he know about such things? He’d never been to church. His parents had preferred to worship nature and his uncle hadn’t had time for that sort of thing. Juarez, Mexico. Where innocent people died for being in the wrong place at the wrong time. It was dangerous, very dangerous, this war on drugs. And exactly where Zane wanted to be. Jo knew that, and she used that information to her advantage. That didn’t give him much time. Zane pushed his fingers through his hair. It needed a cut, but it seemed like even that would have to wait. At least he was going back to work. Sort of. He really didn’t consider an assignment like this work. How challenging could it be? Amish. Right. But with Mexico dangling in front of him, what choice did he have? He shook his head. “Helping their fellow man sell countless magazines and make lots of money. Isn’t that a little . . . un-Amish?” Even writers were sometimes at a loss for words. But someone once told him that the Amish weren’t interested in making money and getting ahead. They only earned what they needed to in order to care for their families. Or maybe he had read it in a magazine during one of his countless layovers. That seemed a little out of character too. But what he knew about the Amish could fit on the back of a postage stamp—with room to spare. Truth was he’d never spent any personal time with Jo at the holidays, or any other time for that matter, but he was one of the few reporters at Around the World that had no family to speak of. No one would miss him if he were on assignment Christmas Day. Not even Monica. Well, she might miss him, but she would understand. Not that it mattered. It’d never been a big holiday for him before or after his parents died. “And you’re sure it’s okay with them?” The Amish were a tight-knit group, and the last thing he wanted was to invade their inner sanctum. He’d been in war-torn countries with bullets whizzing past his head like fiery hail, he’d suffered discrimination of being the only white face in the jungles of Africa, but there was no way he’d overrun someone’s private time with their family. That was not a road he wanted to travel down. “Are you worried, Zane?” She said this, but what she really meant was, Are you going soft on me? Soft music played in the dimly lit restaurant. Zane smoothed a hand down his tie, resisting the urge to loosen it. He was certain the maitre d’ would frown upon anything less than perfection from his diners. And the noose was for a good cause. He glanced at his dinner companion. 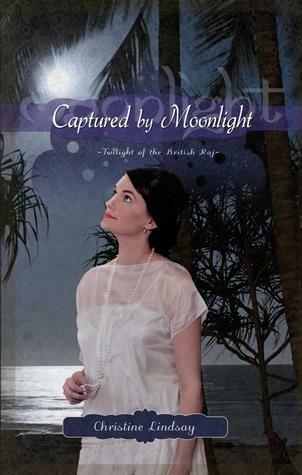 To call Monica Cartwright pretty was the understatement of the century. With her silky, black hair, flawless complexion, and petite frame, beautiful didn’t seem to cover it either. Gorgeous, stunning, breathtaking—those came close. Or maybe it was the way she carried herself, with a self-assurance that came from old money. Why she had set her sights on a footloose vagrant like him was beyond comprehension. He wasn’t going to examine it too closely, though, but instead ride it for all it was worth. He absently fingered the little black box he’d tucked away in his suit coat. Tonight was a special night. And he had yet to tell her about his sojourn into the land of the backward. That wasn’t fair. He was sure the Amish were good people, but he needed to be in the thick of things. That’s what made him tick, made him feel alive. What had Jo talked him into this time? Amish. She had better deliver on Mexico the minute he returned. He lifted his gaze to Monica, only then aware he’d been staring at the menu without even reading it. She shifted in her seat. “You’re a million miles away.” The immaculate navy blue cocktail dress hugged her like a second skin and matched her eyes to perfection. “Sorry.” He smoothed his tie once again. She was probably sensing his unease. He’d have to tell her eventually about his assignment. She’d be disappointed, but she understood the business. Even if the magazine she worked for was owned by dear old Dad, Monica prided herself on working her way into her current position as staff editor of Talk of the Town magazine. Of course, she wrote about Chanel lipstick and Louboutin shoes, not the harsh realities of war. But she understood. Of all the days to get an assignment. He was about to spill the news when the waiter came to take their order. One prime rib and one frou-frou salad later, he couldn’t hold it in any longer. “Oh.” Crestfallen was the only word he could think of to describe her expression. Of course, she thought he was going back to the Middle East. She chewed on her bottom lip for a moment, then gave him a sad, brave smile. “Where are you going?” For all her talk about accepting his job, he knew it wouldn’t be easy for her when he headed off to Mexico. “I understand.” She looked down, seemingly captivated by the pattern on the ends of their flatware. “That’s not bad.” There was that brave smile again. She took a sip of water, watching him over the rim. Zane’s hand started to tremble. Surely a natural reaction. After all, it wasn’t every day a man got engaged. He pulled the velvet box from his suit pocket and placed it on the table in front of him. He cleared his throat and dropped down on one knee beside her. “Monica Cartwright, will you marry me?” His voice cracked on the last word, but she didn’t seem to notice. She looked from the box on the table to the knot in his tie, but made no move toward the ring. “I don’t know what to say.” She didn’t meet his gaze. Zane rose, then sat in his chair, wondering where his proposal had gotten off track. This was not the response he’d expected. In all fairness he was asking a lot. For her to wait on him, to wonder and worry, raise their family and never know if he’d return in one piece. But they weren’t the only couple facing the same prospects in this time of war. Others survived. They could too. Engaged. He was engaged. Well, almost engaged. He’d taken Monica by surprise was all. And now this assignment. He was counting on the old absence makes the heart grow fonder thing to kick in while he was gone. She’d come around to his way of thinking. He was certain of it. Engaged. It was a weird thought. There was someone waiting for him to return. Someone who counted on him to come back and continue their relationship without question. The idea was as foreign to Zane as the landscape whizzing past. As promised, a driver named Bill had met Zane at the airport. Bill was more than willing to talk about the weather, the trees, and how the University of Oklahoma football team was playing this season, but Zane didn’t think it was the time to drill him for secrets into the culture he was entering. Bill wasn’t Amish. “Mennonite,” he supplied with a smile and a glance in Zane’s direction. “And what would you say the primary difference is?” Zane asked. “Besides driving.” He’d been a little surprised that the driver was also of the Anabaptist sect, though he wouldn’t have known it if the chatty Bill hadn’t volunteered the info. Zane nodded. Not that he understood any of what that meant. He wished he’d done a little more research. All he could remember about the Amish was the tragic shooting several years ago and that they seemed to be a loving and forgiving sort of people. He had been in Bosnia when it happened, so all his info had been filtered by the time it reached him. “I thought Oklahoma was flat and dusty.” Zane gestured toward the green grass. The sky was colored a pristine blue, and the hills seemed to roll on forever into the distance. Sort of reminded him of Oregon and the commune where he grew up. At least how he remembered Oregon. Zane turned to face him, questions on the tip of his tongue. Must be an inside joke, Zane thought, and leaned back in his seat. The rest of the trip flew by in a blur of unexpected green. Bill pointed out a few more things along the way—mistletoe, the state flower, and the scissor-tailed flycatcher, the state bird. And in less time than it would have taken him to drive from his apartment to downtown, they were entering Clover Ridge. The town was a mixed oddity of old and new. There was a McDonalds and a Walgreens, but somehow they had managed to keep the Walmart invasion at bay. A general store named Anderson’s sat next to the post office, then a lumberyard, and a Dairy Queen. But most interesting of all were the buggies hitched to horses and tethered in front of all the stores. At least they weren’t in the drive-through line at Mickey D’s, he thought, hiding a smile. In no time at all, they pulled into a long dirt drive lined with wooden fences on both sides. Across the road from the turn, a field had been left fallow, the rich, dark earth looking like no soil he had ever seen. A small wooden shanty stood at the edge of the field, seeming too new for the rest of the farm. “Here we are.” Bill pulled the car to a stop in front of a rambling white house that looked like it had been added on to several times. A big red barn stood opposite the haphazard structure, a pasture with no end spreading behind it. The yard itself teemed with life. Chickens, dogs, cats, geese, and even a duck strutted around pecking at bugs and giving the occasional cat a chase. Bill didn’t even honk the horn. At the sound of the car’s engine, three people rushed from the house to the porch. Zane stepped from the car, looking from them to the stern-faced man coming from the barn, the obvious Amish patriarch. Abram raised his hand in return. “Bill Foster. 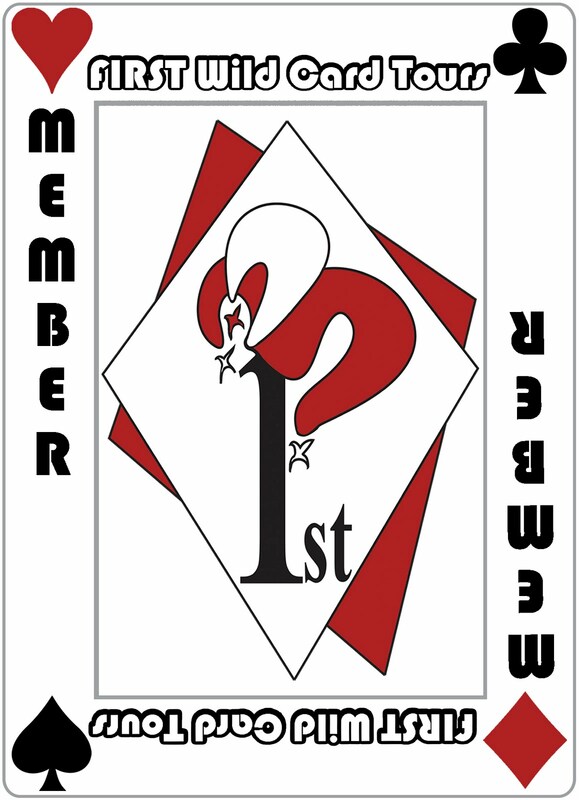 It is good to see you.” The men shook hands and clapped each other on the back as Zane watched the group on the porch. A tall, slender woman stood in the center of the fray, most likely Abram’s wife. What had Jo said her name was? Ruth, yeah, Ruth. Abram shook his head. “Ruth’s restin’ more these days. It’s Gideon’s Annie who’ll be preparin’ your food for the evenin’. But a right fine cook she is at that.” Zane couldn’t help but notice the haunted look in his eyes at the mention of his wife’s name and once again he worried that his staying with them might turn out to be more of a hardship than a benefit. He mentally shook himself. Maybe Jo was right. Maybe he was getting soft. Normally he wouldn’t care about such things. They had invited him here. They were getting something from the deal. He was just doing his job. And that’s all there was to it. Zane stepped forward and reached for his wallet. “I’ve got this.” He pulled out two twenties and a ten, more than enough to cover the gas for the trip. He thought better of it and pulled out a couple more twenties. Surely that would pay for the man’s time. Zane looked down at the cash he held in his hand. Pickles? Was he serious? The Amish man and the Mennonite shook hands. Evidently they were. “But—” he started, not really knowing what to do and how to protest that Bill hadn’t taken his money in trade for services. Bill looked down at the bills in Zane’s hand. “Come on with you both.” Abram pointed to the bags Bill had pulled from the back of the car. The men grabbed the luggage and started toward the house. “By the way, I’m Zane Carson.” He didn’t know why he felt compelled to say anything. It wasn’t like they had paid him the slightest attention, but he felt he should say something. Or maybe not. He adjusted the strap of his laptop bag and followed behind Bill and Abram. Zane didn’t have time to think about the lack of greeting. All at once they were standing at the foot of the porch. Her accent was different from the others’. Abram’s voice held the lilt of his German ancestors, but Annie sounded like a purebred Texan. And stranger still, Zane had a feeling he’d met her before. Zane did a quick mental calculation and, depending on the number of boys that belonged to Gabe, there would be at least twelve people at this natchess, maybe more. He hadn’t survived in the Middle East without being quick, and he could only assume that natchess was the next meal. Everyone bustled into the house, the inside much warmer than the greeting he’d received from Abram. Yet, there weren’t any of the vanity objects that dominated non-Amish housing. No pictures on the walls, no knickknacks scattered about. The floors were solid wood, covered only by a few homemade-looking rag rugs. There were no curtains on the windows, no cozy items strewn about. All in all he couldn’t figure out why it seemed so welcoming. Maybe it was the family. Despite Abram, Ruth Ann and Annie seemed to welcome him into the house. Upon closer inspection, he could see the ravages of cancer treatment on the Fisher matriarch. She wore a black bonnet that he was pretty sure hid the last remains of her chemo-ravaged hair. Her skin held a gray tinge, her cheeks puffy from the steroids, her eyes sunken. Her dress hung on her frame, but those mossy green eyes sparkled with a light that even medical science couldn’t extinguish. Annie was much younger and healthier, though Zane noticed she hovered close to Ruth as if to spot her in case she stumbled. Zane still couldn’t shake the feeling that he knew her somehow. They say everyone has a twin. Well, at some point in his life, he’d run across Annie’s. The young man stepped forward and for the first time Zane noticed he wore faded jeans to rival his own. His blue shirt looked impeccably tailored, and he’d rounded out his attire with a pair of dirty running shoes. Had he not had the distinctive chili-bowl hairstyle, John Paul Fisher would have looked like any other teenager in countless other small towns around the country. Yet the women had both dressed the same: dresses covered in some sort of apron and shawl, hair pinned back and covered with a small, white cap. Why did John Paul dress differently? Zane made a mental note to find out the first chance he got. Zane grabbed his computer and followed behind. “You’ll be sharin’ a room with me, since Gideon’s Annie has the other.” He nodded his head to the closed door directly across the hall. He pushed open the opposite door and ducked inside. Two neat beds sat side by side in a surprisingly large bedroom. Each bed was covered with a quilt of vivid colors—black, red, yellow, orange, and green. A rocking chair had a strange-looking floor lamp next to it, the neck of it protruding out of an old propane tank. “I see.” In the shoes he wore right then, he couldn’t imagine how Gideon felt. How would he feel about the matter after Monica gave birth to his child? John Paul sat down opposite him, and Zane nodded toward the young man’s jeans. “So the men are able to dress like they want and the women wear the . . .” He motioned toward his torso and head. “Interesting.” More than, actually. He would have loved to question John Paul some more about the rum-whatever, but they had been gone long enough. Time to get back downstairs and meet back up with his host family. He made a mental note to find out more at the first available opportunity. “But the lamp?” He nodded toward the corner light. Back downstairs, it seemed that the house would burst with all the people who had arrived for dinner. Gabriel, it turned out, had five sons ranging in age from four to thirteen with his daughter Mary Elizabeth topping the list at fifteen. From her, Zane learned that rumspringa started at sixteen and could last as long as five years. Soon Mary Elizabeth would be joining the run-around time. By the gleam in her eyes, she could barely stand the wait. Gideon also arrived, looking as much like Abram as Gabriel did. Both Fisher boys were bulky and solid, with coffee-dark hair. Their mossy-green eyes were identical to their mother’s, the one trait she seemed to have passed to her sons. Zane couldn’t help but notice Gideon and his intended were not very affectionate—at least not outwardly. He did catch them staring longingly at each other when they thought no one was looking. Maybe that was part of the culture as well. He wished he’d thought to bring his notebook from his case, but then again, maybe it wasn’t kosher to take notes at the family dinner. Even if Bill the Mennonite driver was also attending. So Zane made do with mental notes, etching the questions into his brain so he could retrieve them later when he went to his room. “Katie Rose,” Mary Elizabeth said, grabbing the arm of a woman he had yet to meet. With all the milling bodies, it was no wonder he hadn’t seen the Fisher daughter as she had arrived with her brothers. She turned to face him, and Zane’s greeting died on his lips. Tall and slim, she looked as much like her mother as the Fisher boys favored their father. Honey-blonde hair, pale green eyes, with the barest hint of color high on her cheekbones. And she took his breath away. She exuded an angelic quality that even surpassed the peace and love that shone in Ruth Fisher’s eyes. Wholesome. That was the first word to come to mind. She was what Monica would call a natural beauty. No makeup, no highlights, no artificial anything, and yet she was perhaps the most beautiful woman he’d ever seen. “It’s nice to meet you.” Was that his voice? He nodded to Katie Rose, still trying to get his bearings, as he reached out to shake her hand. “And you as well. Welcome to Clover Ridge.” Katie Rose smiled as she shook his hand, and Zane’s breath stilled in his chest. Her fingers were warm in his, solid with just a few rough spots that told the tale of the life she lived. Monica would have been at the salon every day to have them removed, but they fit the natural beauty of Katie Rose Fisher. He couldn’t pinpoint what it was about her that seemed to seep into his bones. She was not his type, but the man in him could appreciate her beauty. The engaged man in him, however, knew to keep his distance. Now was the time to show his professionalism. “I’m sure she is,” he said, realizing that he still held her hand in his. “I’m sure I will.” Zane did his best not to feel discarded as she nodded a “so long” and disappeared in the throng of her family. From the back, John Paul brought in a stooped, elderly woman who couldn’t have been a day younger than ninety. Arthritis had gnarled her hands into near talons, but her eyes still held the sharp edge of intelligence. She had a walking cane and a long black dress, her iron-gray hair parted down the middle pulled back and covered just like the young women. Once they were all seated around the two large wooden tables, everyone bowed their heads. Everyone, but Zane. He looked around at their bowed heads, his gaze stopping on one of Gabriel’s sons. Samuel? Or was it Simon? It didn’t matter. Only the buzzing silence that filled the room as everyone prayed. For what, he didn’t know. Zane had never been one to pray. At least not to a god . . . or the God. He just . . . never saw the point. His gaze flitted from Simon to his aunt. Katie Rose had her head dutifully lowered, her eyes closed, and her hands folded neatly on the table. There was a peace about her that Zane couldn’t place, and he pushed back thoughts of his earlier reaction to her. Her beauty had taken him by surprise. Where he came from, women did everything from color their hair to inject their lips in order to gain the aura that Katie Rose held by the grace of nature. Professional, he reminded himself. Be professional. He was a little out of practice at living with other cultures. Six weeks in Chicago had done that to him. Maybe Jo had a point: He needed this assignment more than he realized. He’d definitely be in trouble if he lost his edge in Juarez. Better to get back in the habit of adapting to the Amish before he had to survive in the wild world of Mexican drug lords. He cleared his mind of personal thoughts of Katie Rose and inspected her with a journalist’s eyes. She, like the other women, wore a white kerchief-kind of hat perched on the back part of her head. Must be an Amish thing. He’d never thought about it until now, but in all the pictures he had seen of the Plain people, the women wore that same type of covering, or something similar. He made a mental note to ask John Paul about it. Thankfully, Abram uttered “Aemen” and everyone raised their heads. Being at the table with so many people brought back memories of the cooperative where bowls of food were circulated and everyone served their plates before passing to the next person. Someone burped. No one made mention of it, no one said excuse me or waited for another to do the honors. Another Amish thing? For so many people at the table, there wasn’t a great deal of talking. Even the children were strangely quiet. Granted, what he had seen of Amish children tonight led him to believe that they were better disciplined than kids on the outside. Still, he couldn’t help but believe that his presence at the table had something to do with it. Zane’s gaze jerked to Katie Rose. She smiled, and he realized her eyes were a lighter green than her mother’s. And sweetly smiling instead of tired, as she waited for him to answer. He realized he wasn’t eating. Old habits and all. He’d never been a big eater. He was usually much more interested in what was around him than in food. But he had the next three months to absorb all he could of the Amish way of life. No sense in starving himself this early in the game. A few seats down, Annie blushed. “Chicken pot pie,” Annie answered. “It’s Annie’s specialty,” Mary Elizabeth said with a smile. “And onkel’s favorite,” Matthew was quick to add. “Plowing?” Granted he’d been a city boy for the last twenty years, but he’d spent quite a few formative years in a commune. And he’d learned a thing or two about farming. One thing he knew was that it was October. Not time to plant anything. “Seems like I came just in time,” he said with a laugh. For the first time since he agreed to this crazy plan of Jo’s, he realized the extent of what he’d gotten himself in to. Farming. And backward farming, at that. He rubbed at the dull pain in his shoulder. He supposed it was better than heading into a war zone. Safer, and not as stressful. A little cleaner and a lot cushier. But how was he supposed to live his life to the fullest on an Amish farm in the backwoods of backward Oklahoma? Three months, he told himself. Three months, and he was out of here. Abram Fisher had made a mistake. He was a godly man. He had learned humility. And he could admit when he’d done wrong. And this time he hadn’t done right by his family. He looked down the table to the stranger he had invited into his home—their home. He’d done it all for Ruthie. He was a selfish man, he knew. Every night he prayed to God to forgive him and his selfish ways and thoughts, but heaven help him, he wasn’t ready to let her go. But this Englischer with his hard eyes and unsmiling mouth was not a man he should have asked to come into his house. Not like this. But the deed was done. Zane Carson was staying, living among them, writing about what it felt like to be Amish. Abram couldn’t understand the draw of the outside world to their little community, but the Englischers seemed to be fascinated by the ways of the Plain folk. It beat him as to why. They all acted like Plain folk did something special. More special than just follow God’s plan. Everything was right there in the Bible for everyone to see, to use. T’weren’t any more special than that. But with Ruthie’s cancer treatments draining the funds from the district, Abram had to do something to put it back. The only thing he could do was take the fancy, fast-talking editor lady up on her plan. Invite a reporter to come into their midst, live with them, work beside them, and then write a bunch of stories about the experience. She assured Abram that the articles would bring tourists from all over to sample the wares, tastes, and simple life that was offered in Clover Ridge. More visitors meant more money for the town, and more money for the town meant more funds in the emergency coffers. More money for cancer treatments. So he had done it for Ruthie. Everything for Ruthie. I enjoyed reading this book. It helps you realize what exactly is important in life. Zane Carson is a reporter, wounded in Afghanistan. He is recovering and ready to get to get back in action. His Editor thinks it is to soon, but has an assignment for him. Visit and tell about life in Amish Country in Oklahoma. Thus begins his life awakening moments, refreshing warm memories of his Childhood. He grew up in a Hippie Commune with his parents. Although they died while he was still young, and he finished growing up with his Uncle in Chicago. He was brought up without knowing God, and now he is going to live with people who base their lives on God. Just before he leaves he asks his girlfriend Monica to marry him, she hadn't given him an answer. Arriving in Oklahoma he has no idea at all how Amish people live. I was pleasantly surprised at how well he seems to adapt. He of course, being a reporter is full of questions. Katie Fisher has been hurt when her intended left her a few years ago. He wanted to go English. She now is the Amish School Teacher, and helps her brother with the care of his family. One thing you notice as soon as she meets Zane is sparks. We all know this cannot be, he is Agnostic and she loves the Lord. He is English and she is Amish. I loved how the whole community comes together, and basically the acceptance of the English man, of course there is a reason behind him being there, which you will soon find out. Enjoy this quick pace read in the Oklahoma Amish Community. I for one am so glad there is another book in this series.